Your Happy Planner® stickers aren't just for your planner! They work beautifully to adorn your Bible pages without the mess and time commitment of paint. I enjoy selecting a passage to reflect on for the week and coordinate the Bible pages with the pages of my planner. 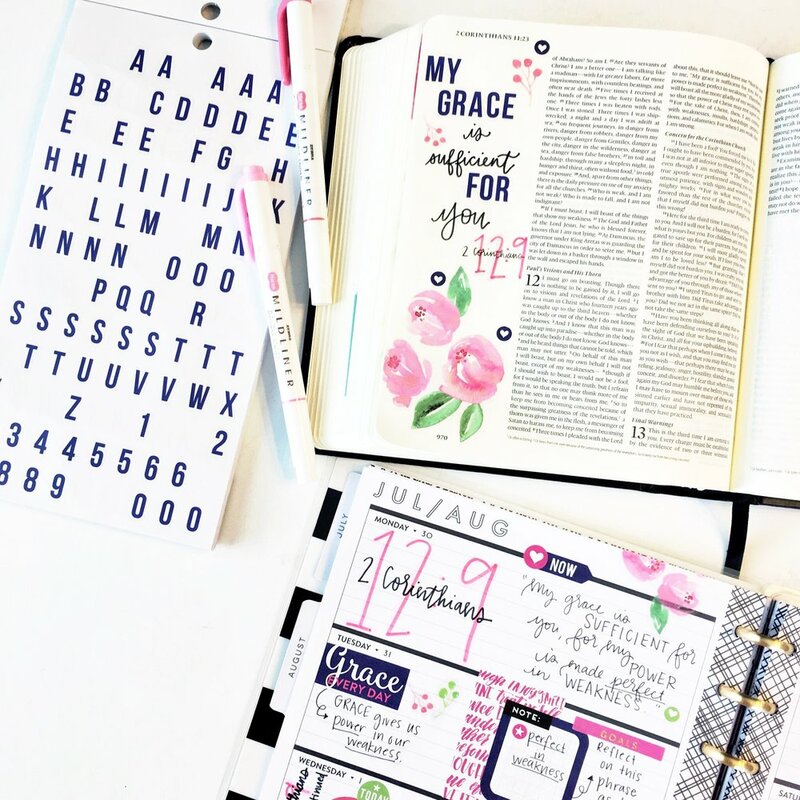 With the help of the Rainbow, Alphabet, and Faith Value Pack Stickers, both my Happy Planner® and my Bible look beautiful for my reflections on the Word this week. I chose to focus on grace as I try to keep my expectations for myself realistic and in line with what God has planned (pun intended). Navy, pink, and pops of green look great in this neutral HORIZONTAL Happy Planner®, proving that you can customize your favorite planner for YOUR needs (this isn't even the "Faith" planner). 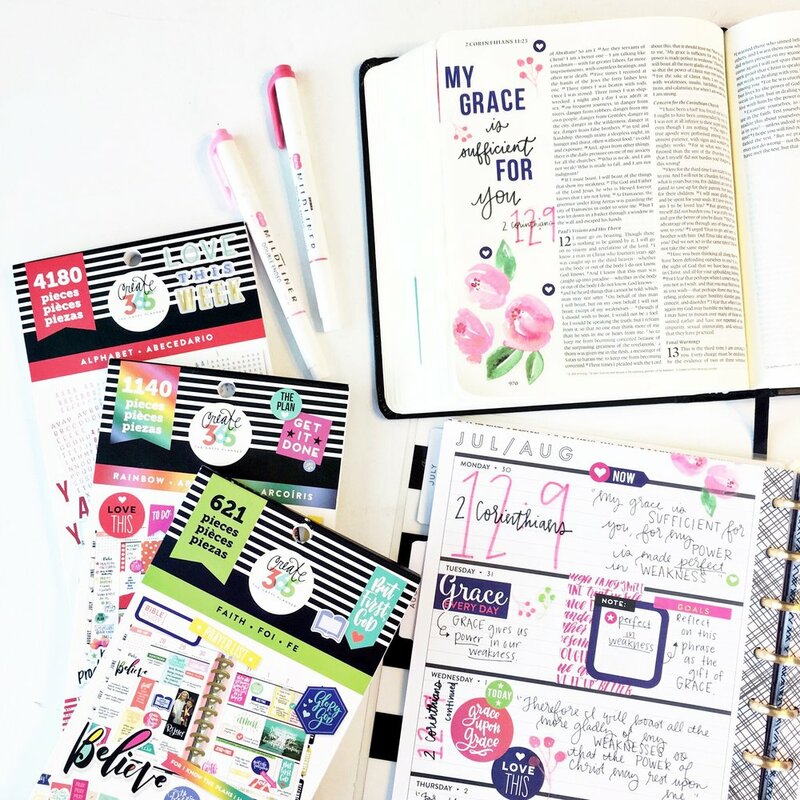 I hope you feel more confident to try Bible journaling with stickers! Happy Planner® stickers are as versatile as they are fun. Feeling inspired? 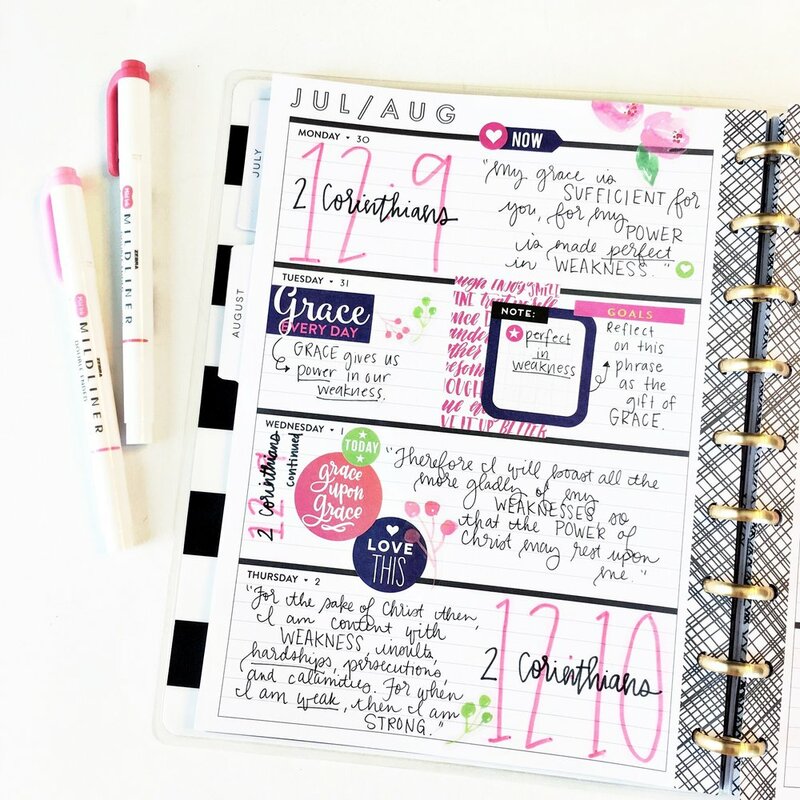 Head over to Instagram and give Gretchen (@planfortomorreaux) a FOLLOW to keep up with all her Happy Planner® creations!